Marc Maron is a stand-up comedian, actor, author and host of the podcast WTF with Marc Maron. He has appeared in his own comedy specials on HBO, Comedy Central, EPIX and Netflix, created the IFC sitcom Maron, and stars in the Netflix Original Series GLOW. He lives in Los Angeles. "As readers will expect, there are plenty of laugh-out-loud moments, but what is more surprising and refreshing is how many profound and powerful insights Maron manages to draw from his guests. An insightful collection of interviews about what it means to be human. This book, it turns out, helps explain W is TF." 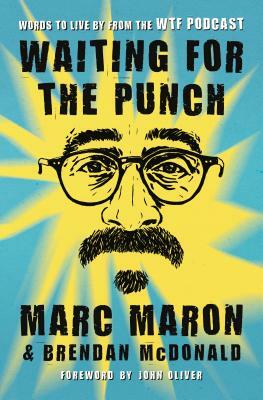 "Maron’s latest is a deeply moving, inspirational, and witty work."